Just like dresses, shoes and accessories, a tattoo is a style statement. However, the difference is you will have to wear a tattoo for the rest of your life and that makes it all the more important to have one which is stylish in every sense. If getting inked has been on your mind for a while but you are still looking for inspiration, then you are going to like what we have for you. Check out the tattoo ideas that will surely enthuse all the stylistas out there. 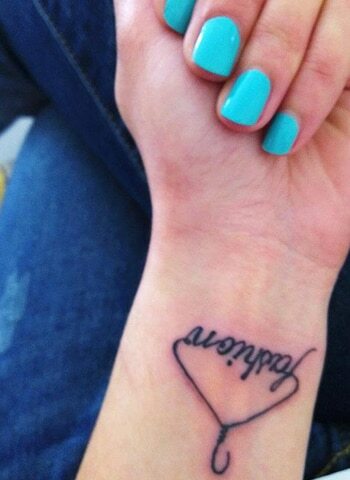 Nothing expresses love for fashion more than this tattoo. A perfect place to get this tattoo can be at the nape of your neck or wrist where fashion can proudly sit on a clothes hanger. Can It Get More 'Vogue' Than This? Sometimes all it takes is a word. 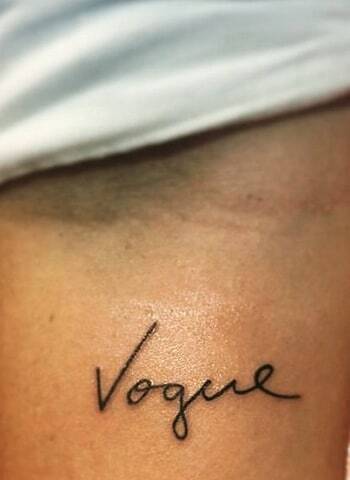 ‘Vogue’ written in a dramatic font will give the world more reasons to consider the fashion queen that you already are. 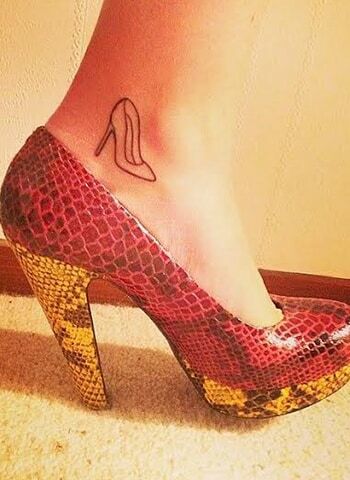 This tattoo is perfect for all those who are not only fashion lovers but also fashion creators. 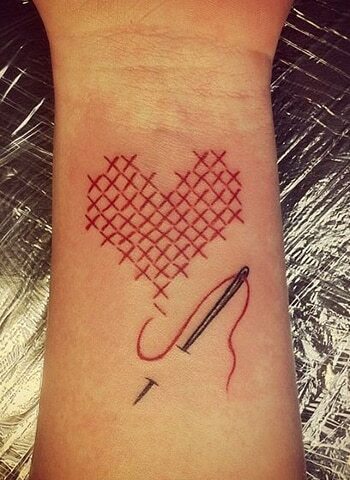 The sewn heart will depict the dedicated passion for fashion while the needle represents the creative side. 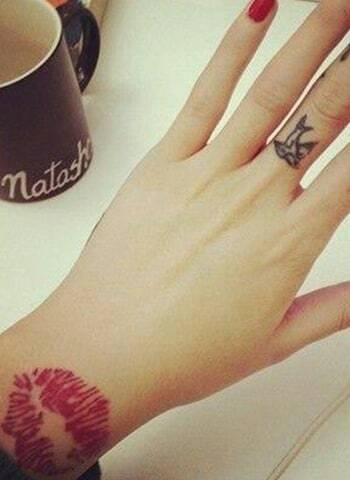 Glamorous and artistic, we just love, love, love this tattoo idea. 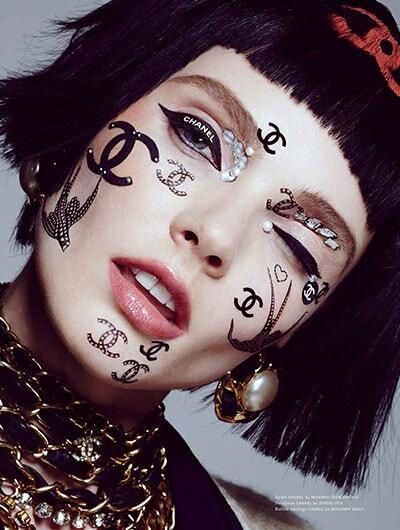 If you worship fashion and can’t do without makeup, then this is a wonderful tattoo to get. Remember Megan Fox’s Marilyn Monroe tattoo? It is a great way to honor your idol and also a great option for a tattoo. 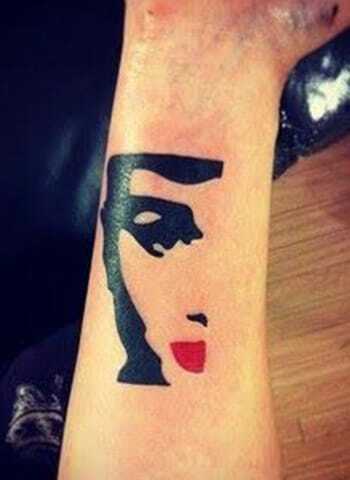 Look at the Audrey Hepburn tattoo, gorgeous right? Thinking of taking the quote route? Remark your fashion statement by quoting your favourite celeb, author or poet. “If the shoe fits, buy it in every color”. Did you just say “true that”? Well then there is no doubt you should get this tattoo.